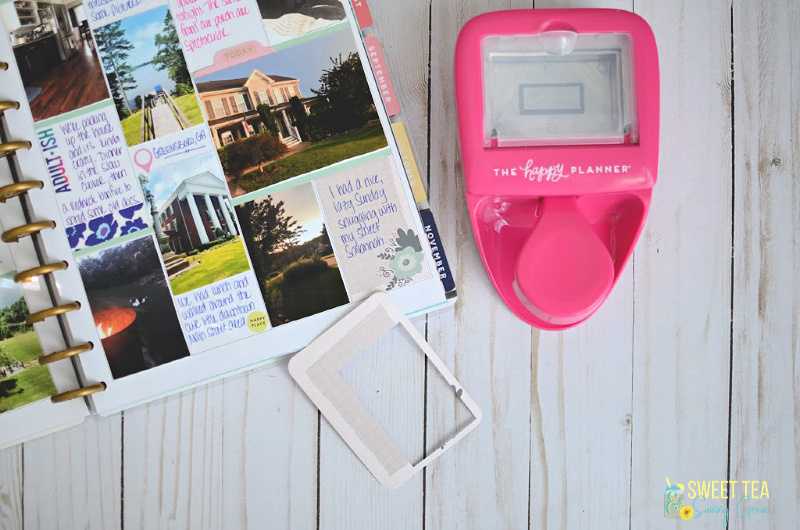 Since I was a kid, I’ve loved journaling, collecting stickers, and taking pictures of my everyday life. 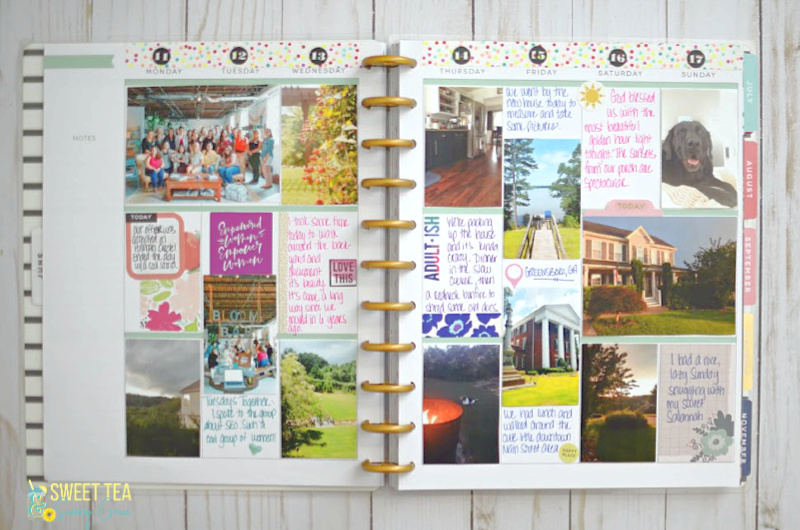 Over the years, I’ve created several Project Life albums, Shutterfly photo books, and my own photo albums. 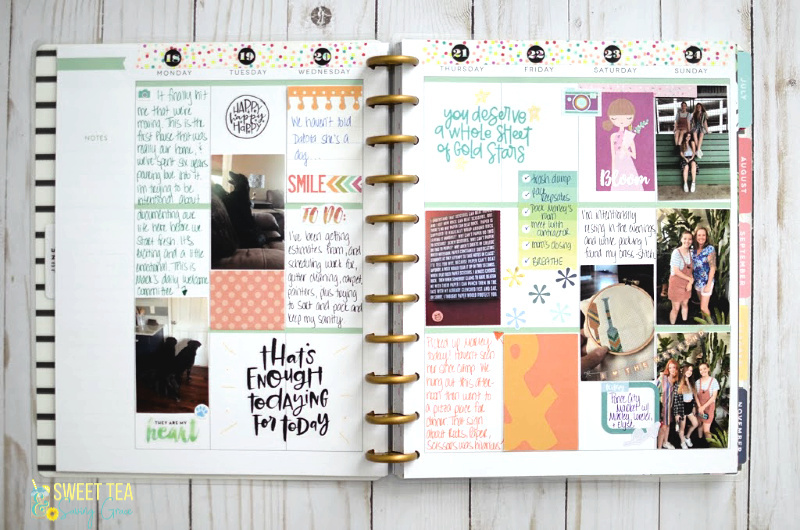 Recently, however, I started using The Happy Planner for memory keeping, and I’m in love! 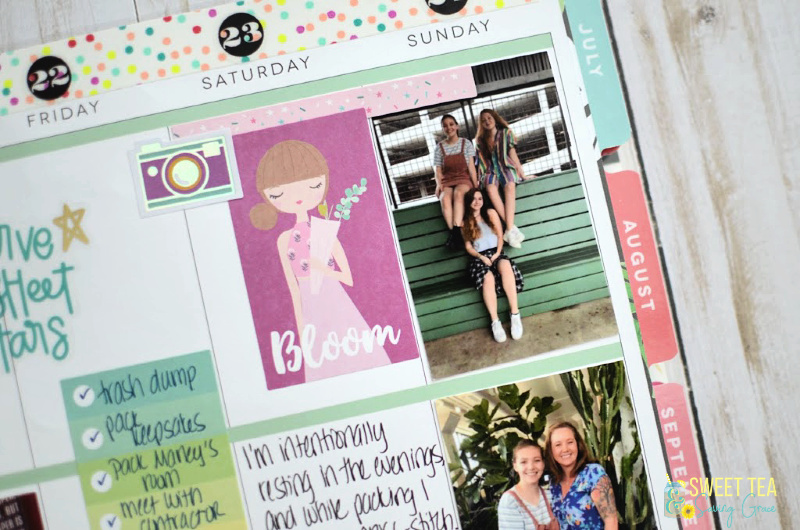 I’m going to share some tips for getting started with memory keeping in The Happy Planner! I’m kind of surprised it took me as long as it did to play with this kind of memory keeping. 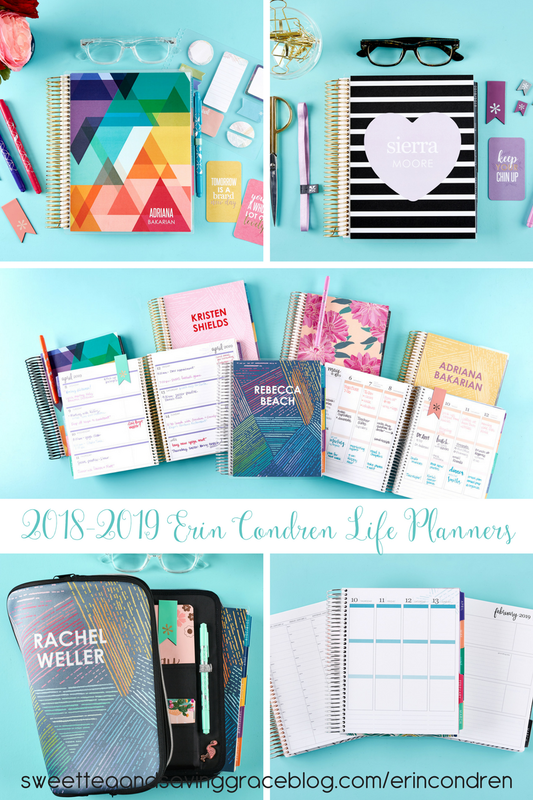 After all, I’m a planner nerd. I loved the pictures I saw on Instagram, but there were several things that kept me from trying it for myself. I thought it would be too time-consuming (it’s not), or that I’d have to buy a bunch of crap I wouldn’t use (I didn’t), or that it would be difficult to figure out how to get started (it isn’t). Once I got past all that, I dove in! 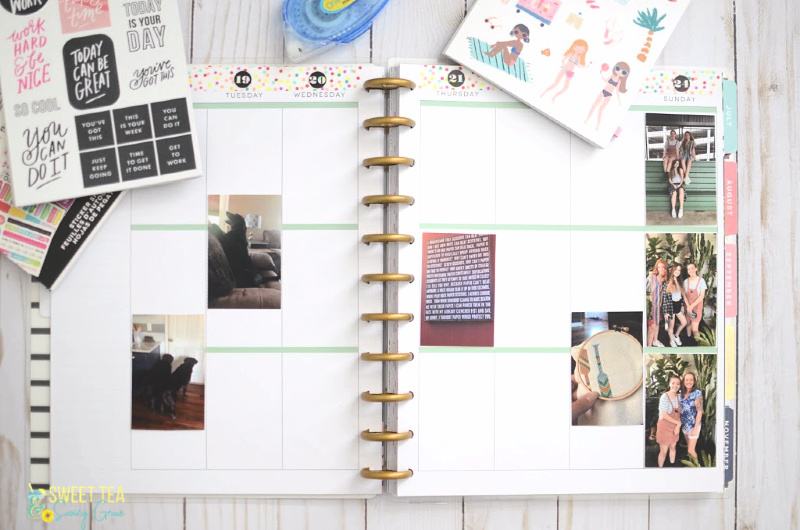 Let me give you a quick background about The Happy Planner. 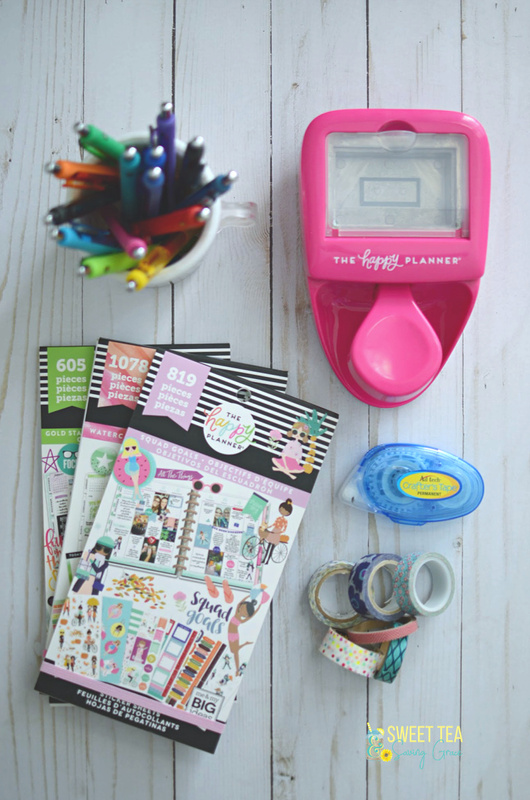 Where to Buy: You can buy them at Michael’s or JoAnn’s craft stores, online from Me and My Big Ideas, on Amazon…practically anywhere, which is great! Easy access to all the goodies! Options: There are three sizes (mini, classic, and big) and gobs of different styles and layouts, so you have to choose what’s right for you. Note: I am using the Big Happy Planner for memory keeping. Accessories: There are dozens of sticker packs, different colors and sizes of the discs (the “rings” that bind the pages together), inserts, etc. You can go as crazy as you want or stay as minimal as you want. I’m also using my existing stash of card stock, stickers, washi tape, etc. This was the only part that confused me for a bit. I couldn’t decide if I should buy a big pack of photo paper, print the pictures, and cut them to size, or exactly how I was going to get those pictures that small. So I figured out a REALLY EASY (and cheap!) way to get my pictures printed. 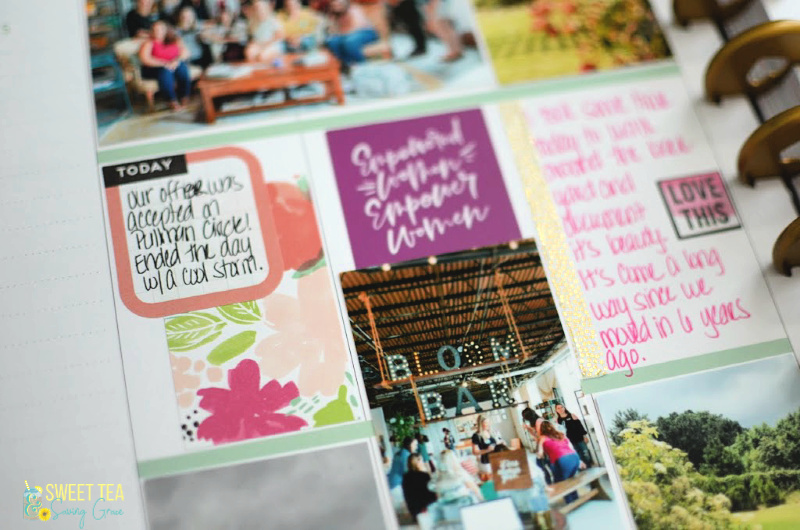 Go to Picmonkey and create a collage sized 1200 pixels by 1800 pixels to print a 4″ x 6″ image. 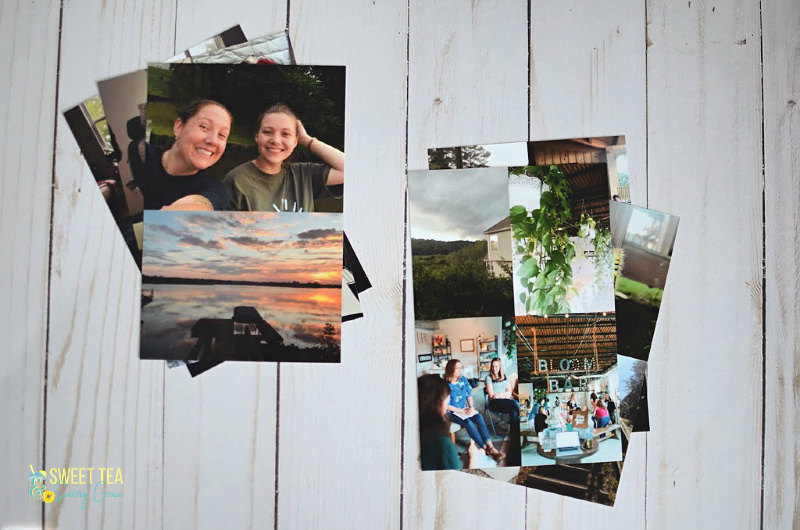 Add 4 vertical or 2 horizontal pictures to your collage, print them at your local photo printer, and cut them apart. 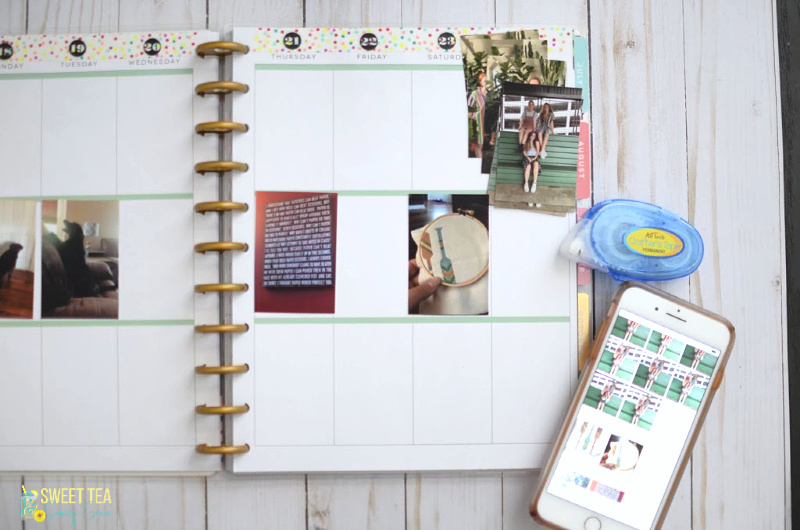 If you purchased the Weekly Punch sized for the Big Happy Planner, you just take your printed collage with 4 images on it and punch them out one at a time. Use scissors or a paper cutter for the horizontal images. This tool is also handy for any paper or card stock you want to use to fill space, but doesn’t quite fit. 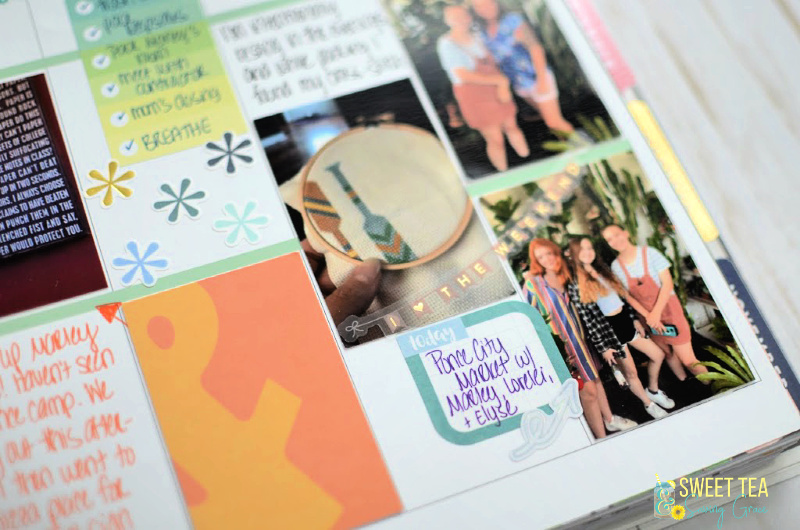 Now that you have your supplies and you’ve printed your pictures, all that’s left is to create! This is the fun part! Don’t let a blank page scare you. There is no right or wrong way to lay out your pages when memory keeping. Do what you like, add as much flair as you want, or keep it very simple. I’ll show you my process to help you get started. I print a month of pictures at one time, rather than weekly, so I use the dates in my phone’s photo album to help me know where to put each picture. I tend to take more than one picture sometimes, so I print all the pictures initially, then determine which ones I’ll actually use when I see how the layout looks. 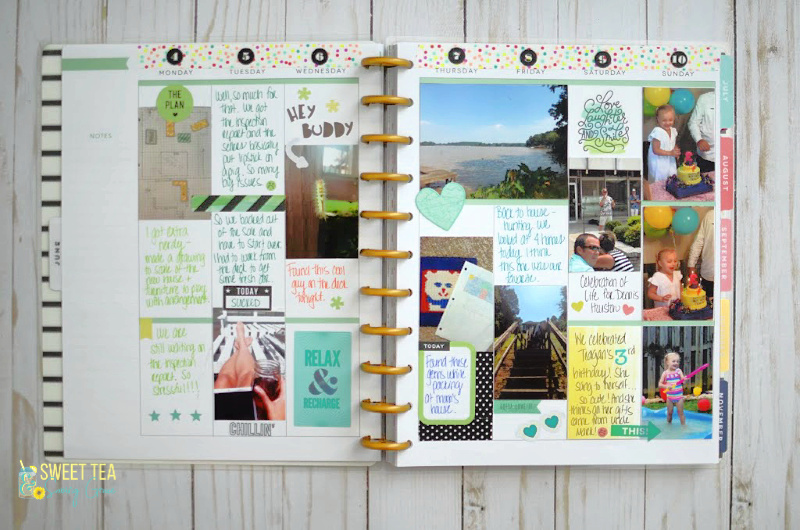 I play around with different arrangements until I like what I have, then use the tape roller to stick them to the page. I tend to do one side at a time. On this particular week, I didn’t have many pictures, so I had a lot of white space to fill. I used a combination of big quote stickers and a lot of journaling to fill the space. 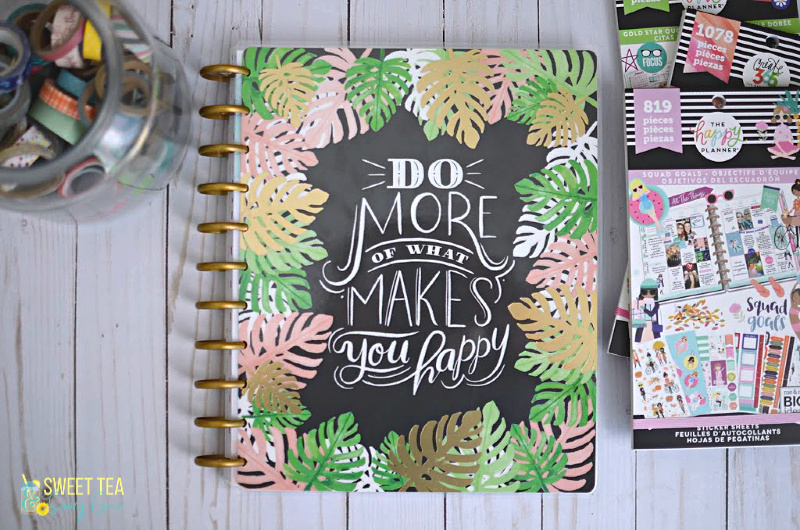 QUICK TIP: Pull each page out of your Happy Planner as you’re working on it to make things easier. Pop it back in when you’re done! 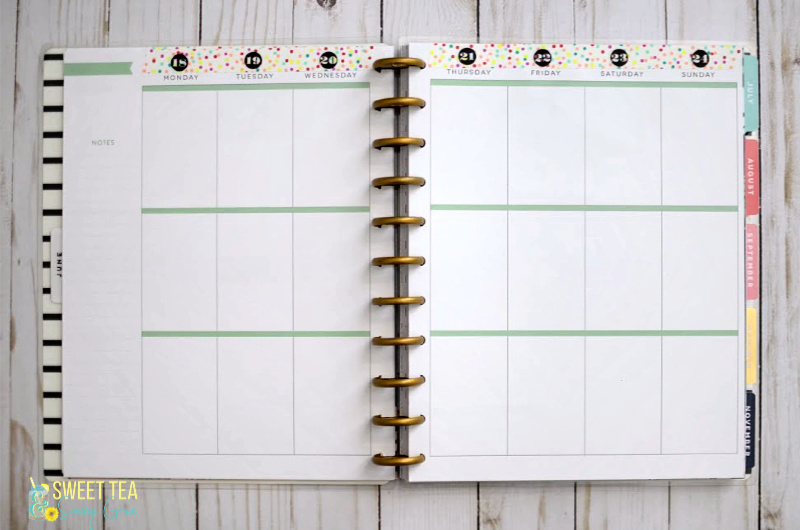 You can add stickers, scrapbook paper, checklists, quotes…anything you want to make it look the way you want it to look. 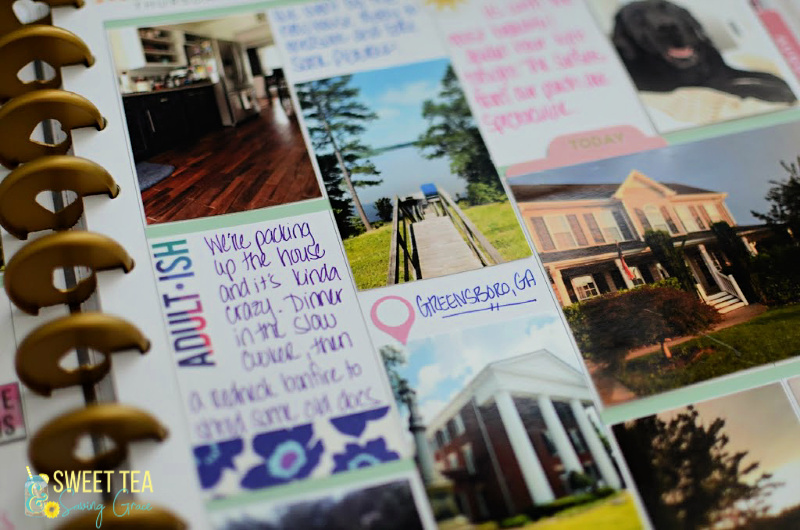 I had three photos to use for one day in this layout, so the journaling went in the section next to the photos. 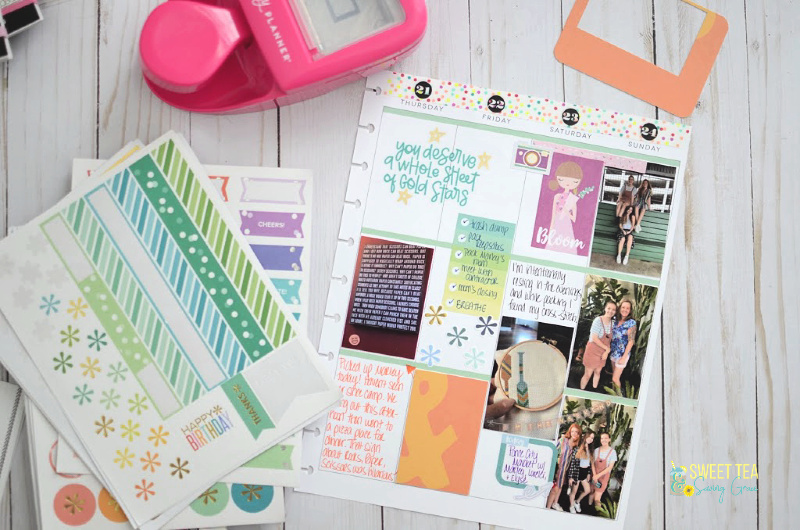 I also pulled out some old Erin Condren stickers to add a little pizazz to my page, as well as a Project Life card. 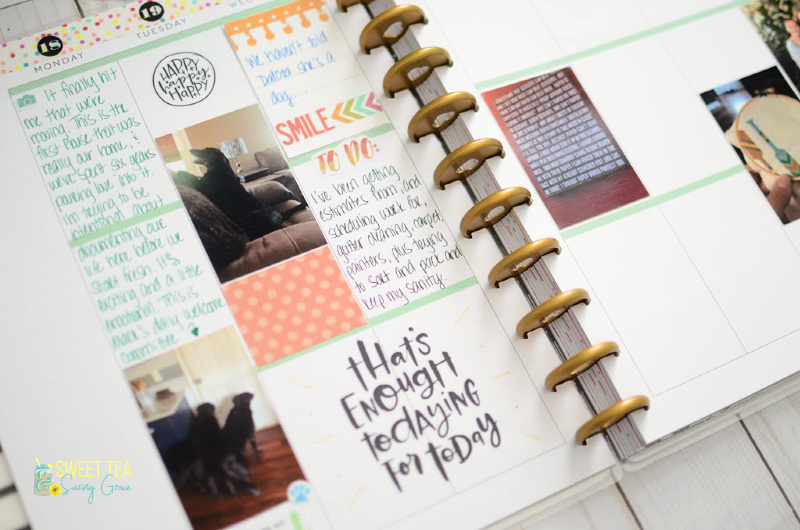 When I first started, it helped me to see what other people were doing in their Happy Planners for memory keeping to get the creative juices flowing. Remember, these are just for inspiration – your pages should be uniquely YOU! 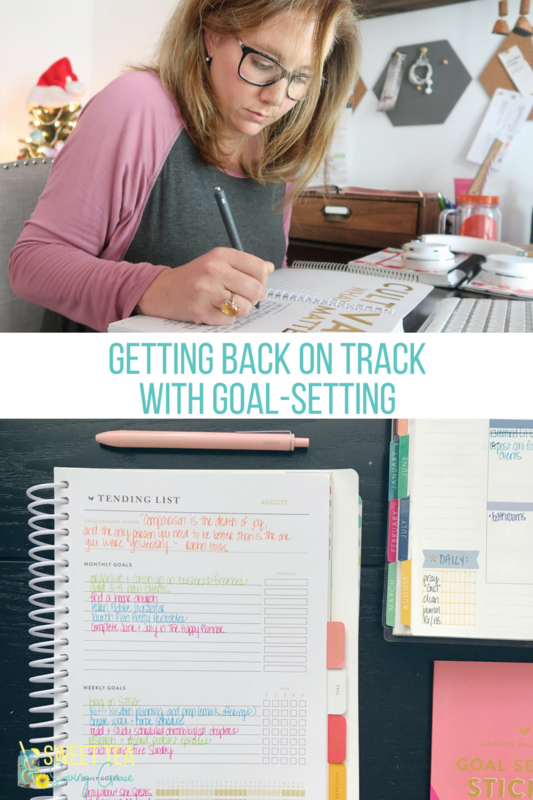 I hope you enjoyed these tips to help you with getting started with memory keeping in The Happy Planner! 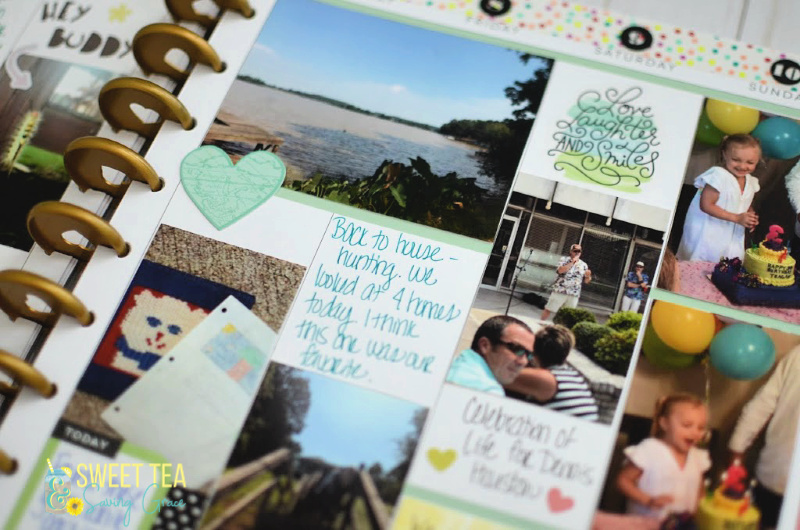 It’s a fun way to document the ordinary and the extraordinary in your day! YOU MIGHT ENJOY THESE POSTS, TOO!